Excerpt: To work with our many partners around the world, to build and sustain democratic, well-governed states that will respond to the needs of their people and conduct themselves responsibly in the international system. 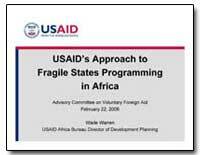 Excerpt: Do state and society encourage peaceful competition? 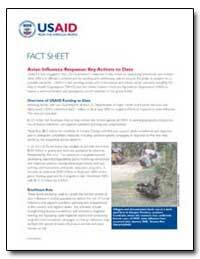 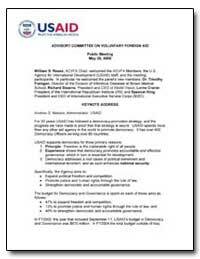 USAID helps administer multiparty elections, and encourages robust democratic political parties and nonpartisan electoral administration. 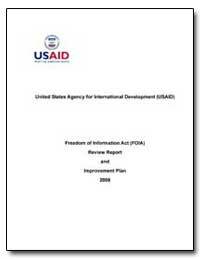 It fosters freedom of the press and the development of civil society. 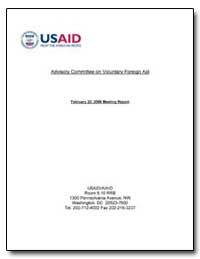 It even helps parliaments develop mechanisms to write and manage bills. 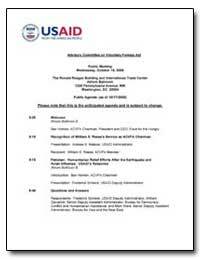 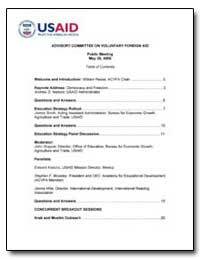 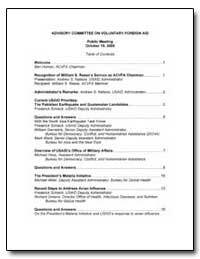 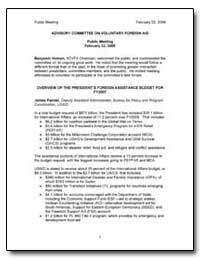 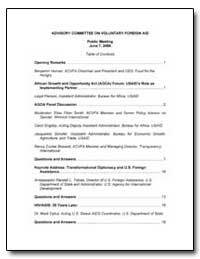 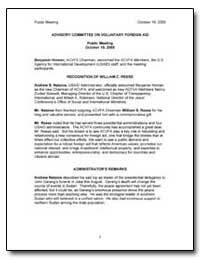 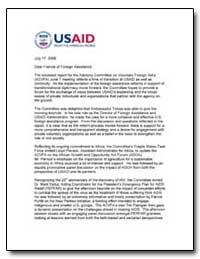 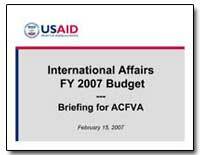 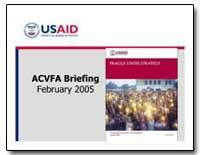 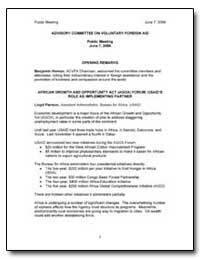 Excerpt: The enclosed report for the Advisory Committee on Voluntary Foreign Aid?s (ACVFA) June 7 meeting reflects a time of transition at USAID as well as continuity. 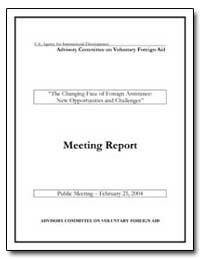 As the implementation of the foreign assistance reforms in support of transformational diplomacy move forward, the Committee hopes to provide a forum for the exchange of views between USAID?s leadership and the broad sweep of private individuals and organizations that partner with the agency on the ground. 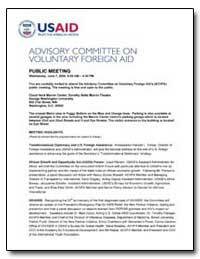 Excerpt: Attendees are strongly encouraged to bring a photo ID and to plan on up to 15 minutes to enter the building, depending on the number of visitors that day. 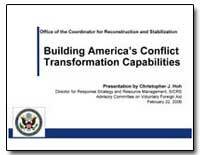 The Ronald Reagan Building is accessible via the Federal Triangle Metro Stop and there is parking in the building. 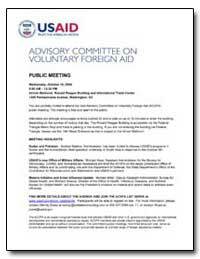 If you are not entering the building via Federal Triangle, please use the 14th Street Entrance as this is closest to the Atrium Ballroom.